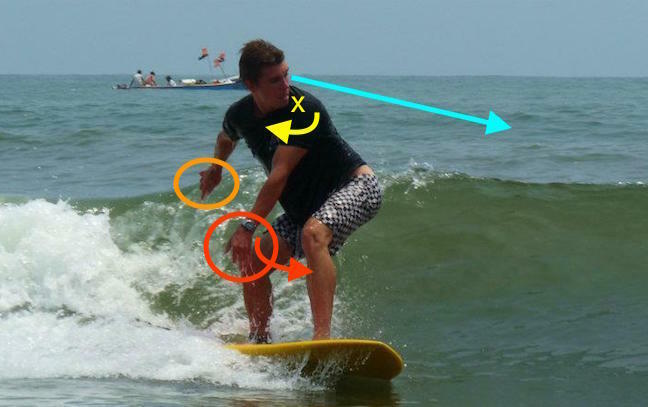 How do surfing and throwing a frisbee match ? Both need usage of the arm and waist to do the twisting turning action. Here is a picture perfect turn from right to left. Her front arm goes up and out. That opens the chest into the turn and clears the way for her neck and chin. 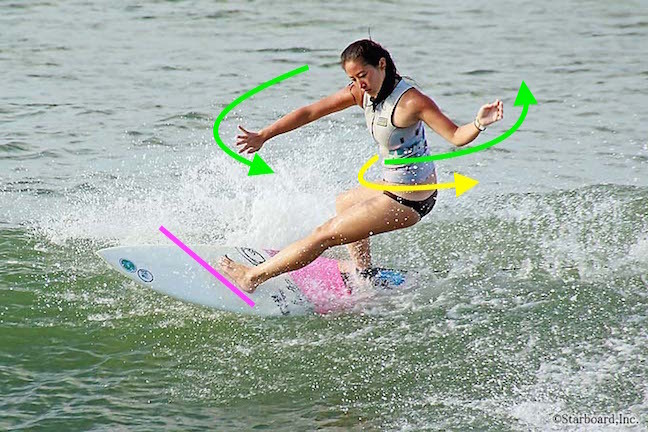 Notice her front foot is pointed at 1-2 o'clock. Here the shoulder is "closed ". Rider wants to go Left, but his body is showing Right. His arm are in a guarded position. Same here. It's almost like before you throw a frisbee. Front arm in tuck in close to the body. Shoulder pointed in wards. 2) Front hand leads thru the turn. 3) Front Shoulder goes back. 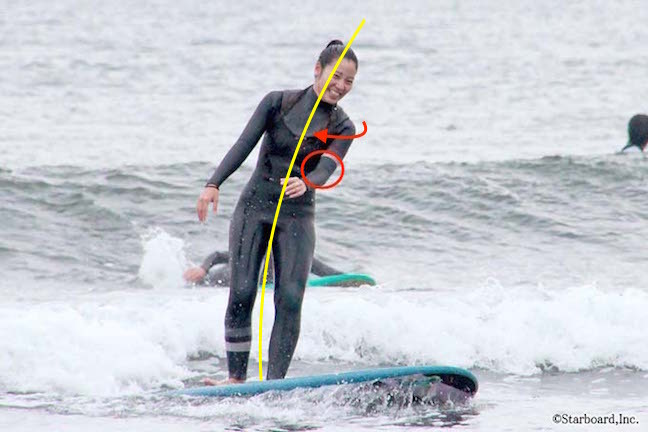 4) Chest opens to the face of the wave. 5) Waist twists in the direction of the turn. 6) Bodyline from head to toe matches the angle of the board. Here her body looks apprehensive and guarded. Her front shoulder is closed and rlling back. Back hand unconsciously goes up to catch her from falling back. With the front arm locked to the body, something else has to assist in turning. That usually means the back/head leaning, then lost of balance. 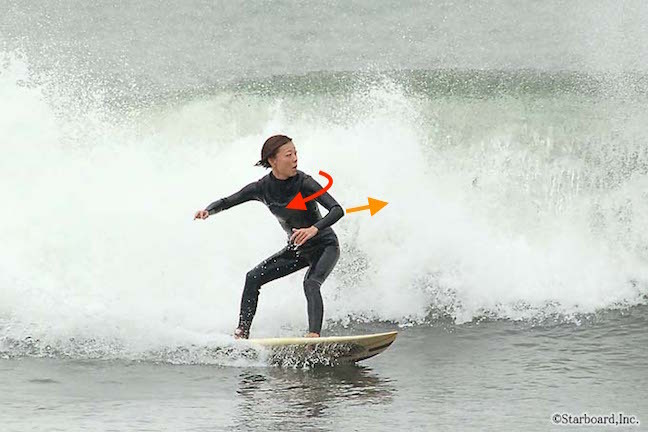 If you lead with the elbow, there is no action to open the chest to the wave. 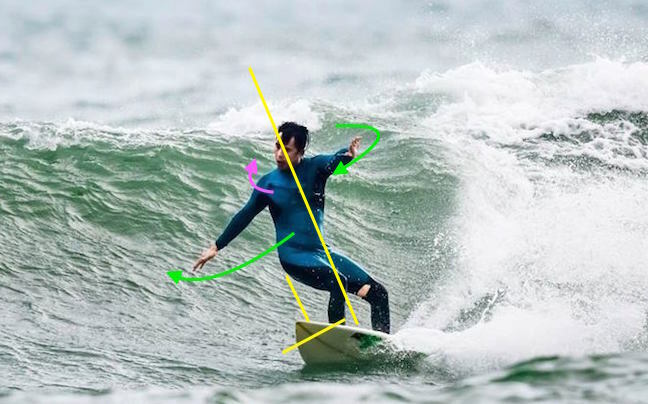 When the front hand really comes around, you can see the big twist in the waist. 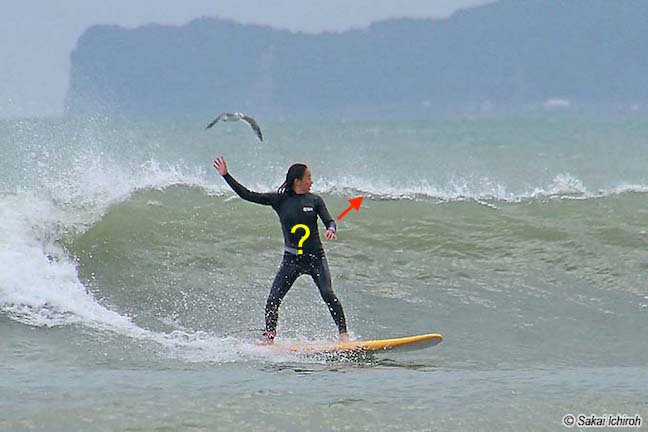 That leads to a big turn for the board into the face of the wave. Even if you have good vision looking down the line, you still need to follow thru with the rest of your body. Shoulder closed leads to a locked from arm. Which makes the wrist only, try to steer it's way left. When you listened to a baseball game on the radio ( do people still do that ? ), did you ever hear the annoucer say " and here's the wind up........ and the wind up " ? No, it was "here's the wind up ... and the pitch". 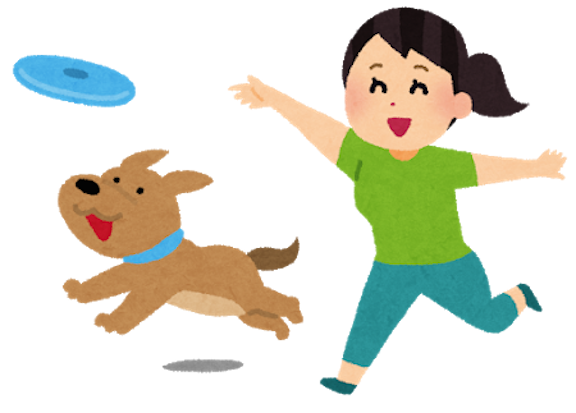 Same for throwing a frisbee, there's the wind up coiled up body to the left, then flinging open of the arm releasing the energy and frisbee. 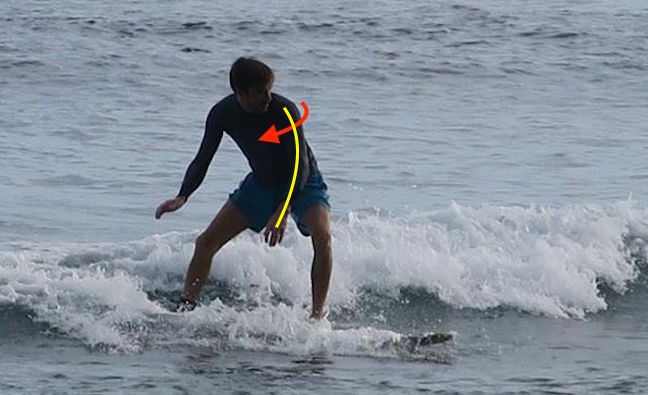 Same for your backside surfing. You need to open up the chest by leading with the front hand. Don't stay closed, let it fly. 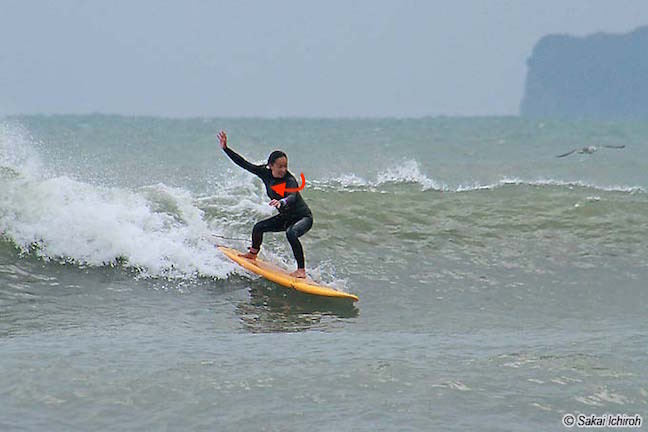 Please check out http://starb.on.coocan.jp/daily/daily0.html , Phillippine surf report and Hope Cheng on FB and thanks "2milkshakes1straw" for the Hawaii surfing photo.